Can a crocodile's smile reveal whether dinosaurs had lips? What if lips and gums hid most of dinosaur's teeth? 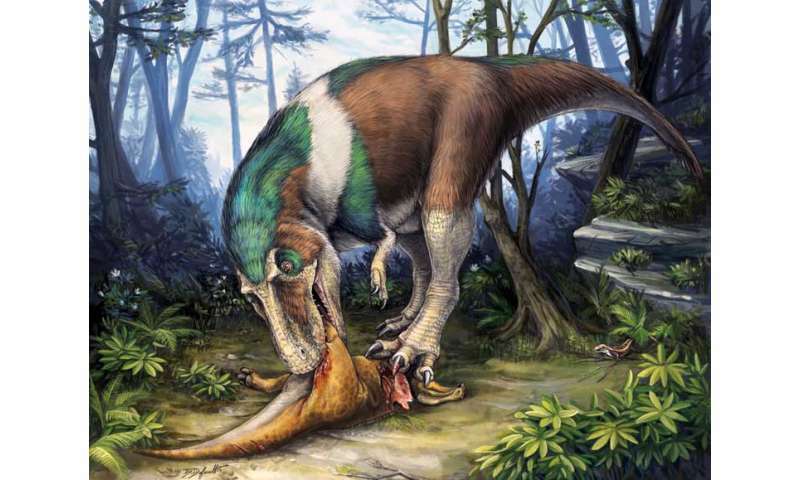 New findings from University of Toronto vertebrate palaeontologist Robert Reisz challenge the idea of what therapods might have looked like when dinosaurs roamed the earth. His research was presented last month at a conference at U of T Mississauga. "When we see dinosaurs in popular culture, such as in the movie Jurassic Park, we see them depicted with big teeth sticking out of their mouths," Reisz says. 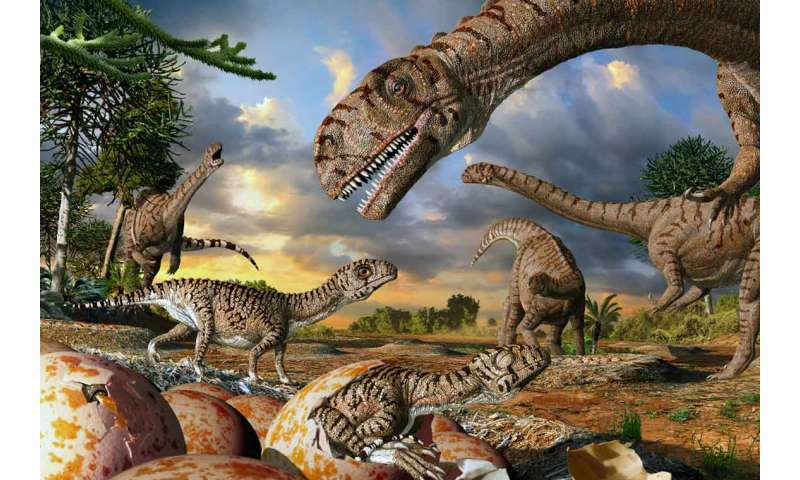 Large dinosaurs, such as Tyrannosaurus rex, bare a ferocious grin, while smaller creatures such as velociraptors are shown with scaly lips covering their teeth. The U of T Mississauga expert was curious about which version might be most accurate. "We have very little information about dinosaurs' soft tissue," he says. For clues about how therapods might have appeared, he looked to modern-day reptilian predators like crocodiles and monitor lizards. According to Reisz, lipless crocodiles have exposed teeth, much like a Jurassic Park predator, while monitor lizards conceal teeth behind scaly lips that are similar to the movie version of velociraptors. Lips help to protect teeth, in part by helping to enclose them in a moist environment where they won't dry out, Reisz says. Crocodiles, which spend their time submerged in water, don't need lips for protection. "Their teeth are kept hydrated by an aquatic environment," Reisz says. Reptiles with lips, such as monitor lizards, typically live on land (much like their movie counterparts) where their teeth require different protection. From this, Reisz concludes that dinosaur teeth would likely have been covered by scaly lips. "It's also important to remember that teeth would have been partially covered by gums. If we look at where the enamel stops, we can see that a substantial portion of the teeth would be hidden in the gums. The teeth would have appeared much smaller on a living animal. "In popular culture, we imagine dinosaurs as more ferocious-looking, but that is not the case." Reisz presented his findings on May 20 at the annual meeting of the Canadian Society of Vertebrate Palaeontolgy at UTM. "Canada has some very significant locations for understanding vertebrate evolution, ranging from the late Cretaceous in Alberta to the Pleistocene in the Arctic and the early stages of terrestrial vertebrate evolution in the Atlantic region," says Reisz, who helped to organized the conference. "There are about 1,000 people worldwide who study vertebrate fossils. It's important to come together and exchange ideas and unite a community that is so widespread geographically."